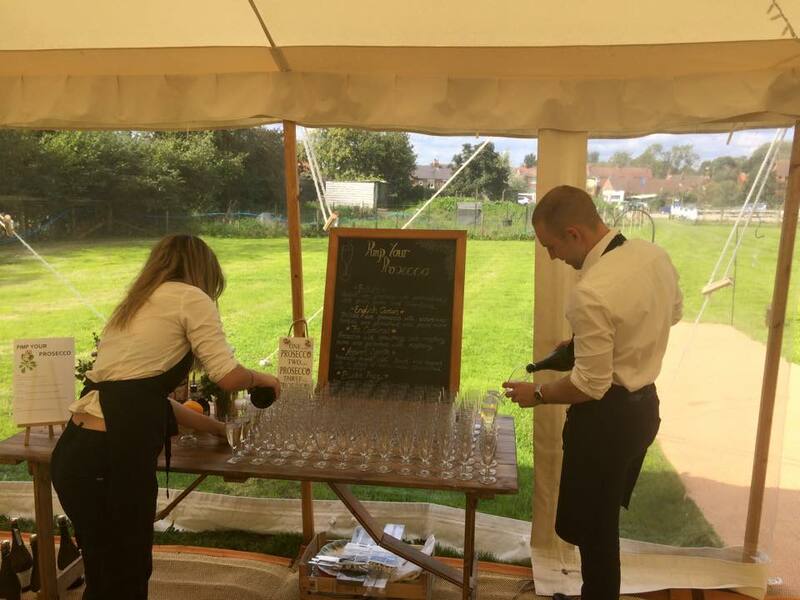 We’re now into the last two months of our wedding season and it has gone past in a blur of shots, welcome drinks and personalised menus. September has already taken us to three amazing venues.. Unfortunately August was that busy we didn’t have time to take a single photo or a blog post. To all of our August newly weds thank you for having us at your wedding reception! Finally we have photos of an event and here we are at Thirsk for the wedding of Richard & Stacey. It saw us team up with Hi-Life Entertainment and finally I got to work with the DJ we had at our own wedding. 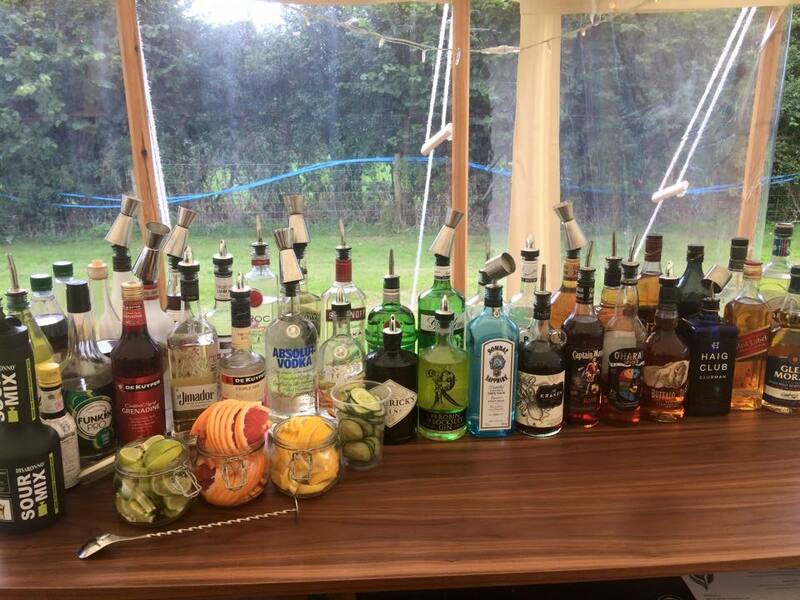 This combined with 190 guests, fantastic music, food and a fully personlised bar menu served from our 10ft Walnut bar led to a very, very busy service (our staff didn’t move from behind the bar for 8 hours). 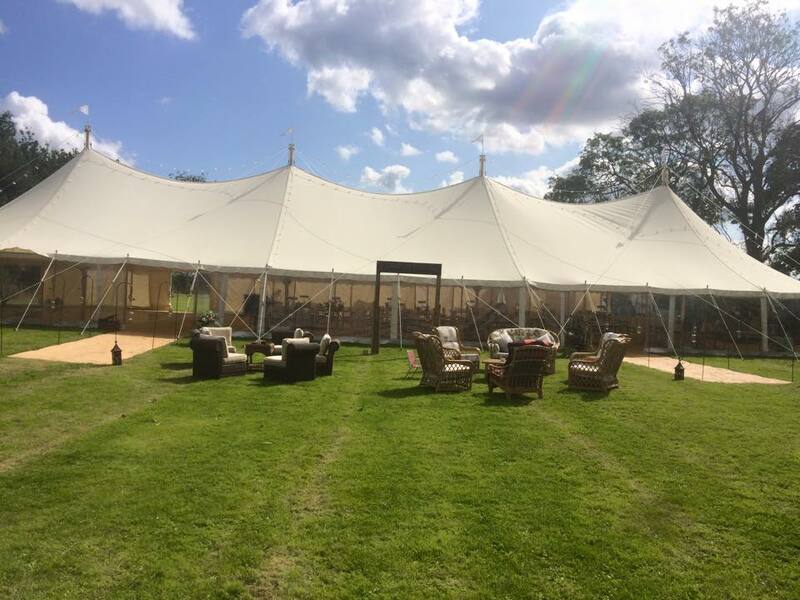 The marquee provided by Will’s Marquees was absolutely stunning (the pictures and my horrendous photography skills do not do it justice). 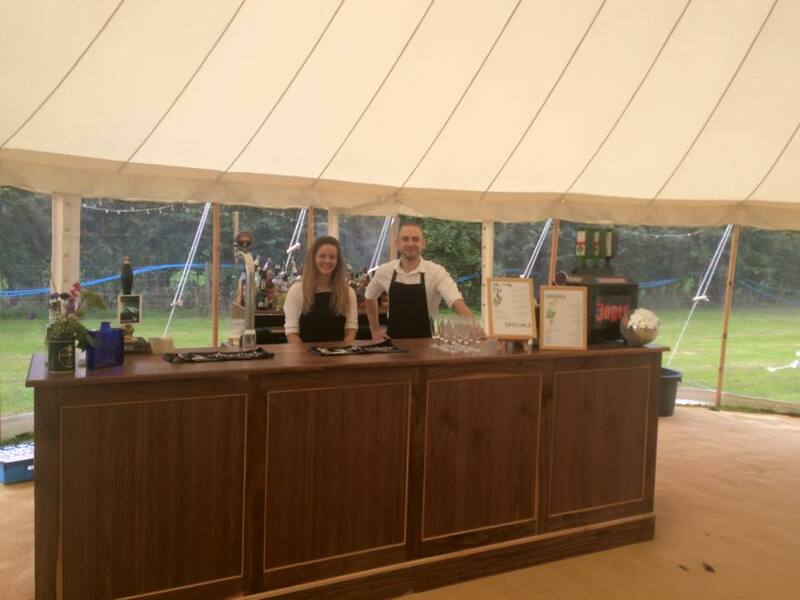 If you’re in need of a fully personlised wedding or event bar for your event this year or next please get in touch and we will be happy to talk through all of your many options. Once again congratulations to Richard & Stacey and thank you for having us at your beautiful wedding.